Holiday Sale! $50 off package pricing! 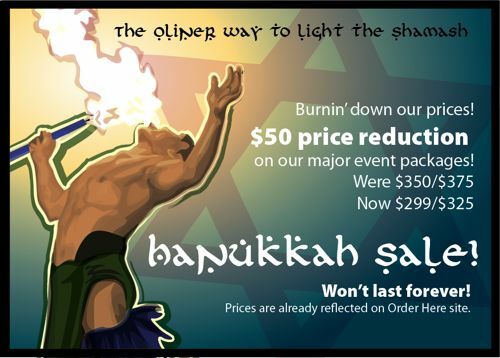 $50 off in celebration of Hanukkah (my most favorite holiday)!! Click image to review packages! New prices are already reflected on order here site.